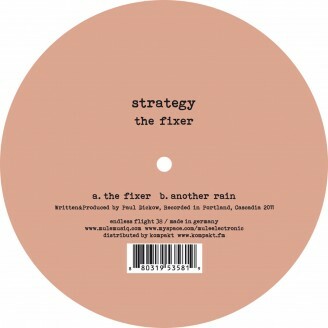 Our favorite usa artist "strategy" finally returned with two excellent alternative house tracks!! a side, "the fixer" is unique mixture of dubby house and kind of italo disco sound. if you like the music of caribou's daphni or four tet, you will like this song. b side, "another rain" is like a kraut rock oriented house meets thomas fehlmann. it's for the fan of four tet or prins thomas or lo soul.